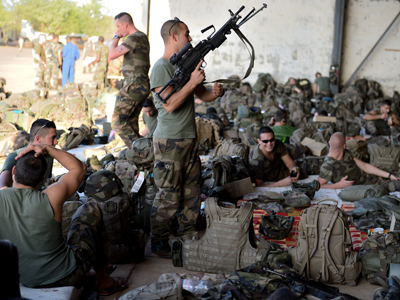 French troops in Mali have been deployed to frontline areas in a bid to stop the advance of the Islamist insurgency. Meanwhile in the city of Gao, rebels reportedly cut telecommunications links to prevent residents from aiding the intervention force. 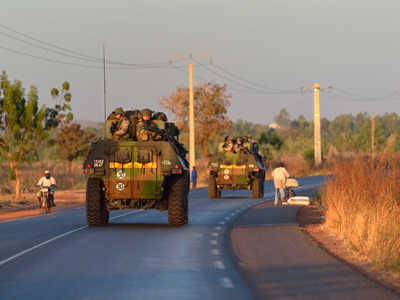 ­Thousands of French and Malian troops in armored vehicles are headed to the north of the capital, towards Diabaly, a strategic city seized by the rebels the day before, witnesses said. 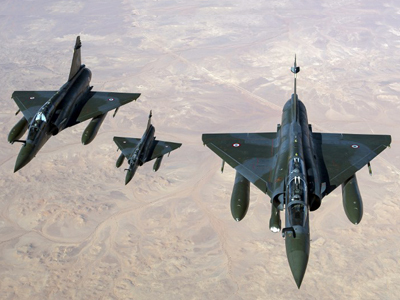 French airstrikes forced the country's Islamist insurgency to seek shelter in deserted territories, but they are still controlling vast northern areas of the country, including the city of Gao – where residents claim all landlines and mobile phone communications have been cut. “They cut communications. They accuse residents of giving information to the soldiers,” a local resident told AFP by satellite phone. 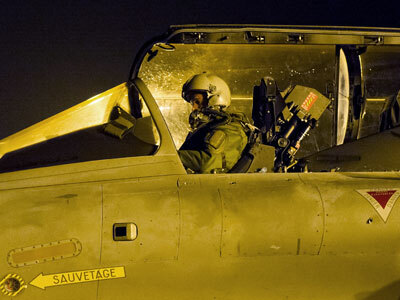 The engagement of ground troops comes after five days of heavy bombardment of rebel-controlled areas by the French Air Force and the announcement that the French government was increasing the number of troops on the ground from 800 to 2,500. But experts feel that the latest intervention makes the participating states vulnerable on the domestic front. “By launching this campaign, which the jihadi extremists will use to create a ‘holy war,’ this sets up the tension for more terrorist activity – and instead of terminating or containing this conflict in Mali, what the US and the French are doing is spreading it and endangering their own security,” Lawrence Freeman from the Intelligence Review Magazine, told RT. The military chiefs of the neighboring West African states met in Bamako, the capital, to discuss the deployment of a UN-mandated 3,300-strong regional intervention force. Although over a dozen countries have voiced support for the intervention in Mali, so far only France has boots on the ground. Germany has said it will put two transports at the disposal of the African security forces to help get reinforcements into Bamako. A number of African countries have promised to send troops into Mali, including Nigeria, Senegal, Burkina Faso, Niger and Guinea. 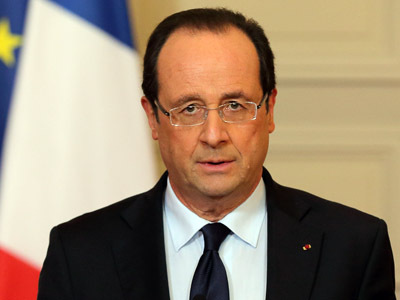 Nigeria, the only country equipped to send soldiers into the conflict zone on short notice, has pledged 900 of its troops to aid the French. Nigerian Defense Ministry spokesperson Col. Mohammed Yerima said 190 soldiers would be deployed in Mali on Wednesday with hundreds more expected to arrive in the next few days. The United States is aiding the combat mission with logistical support and intelligence-gathering assistance. 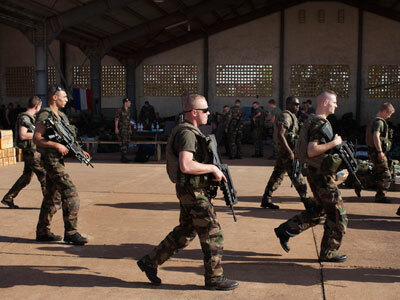 Defense Secretary Leon Panetta reiterated on Tuesday that no American troops will be sent in Mali.